I believe Spring application shouldn’t be structured in package by layer approach. In my opinion, package by feature makes much more sense. This subject interested me for a long time. When I google “package by layer” vs “package by feature” or “folder by type” vs “folder by feature”, there seem to be growing camp of proponents of “by feature” structure. I am in this camp too. But not only application developers are proponents of it. Angular (one of the most prominent Single Page Application frameworks) is promoting such folder structure in their style guide. As there is plenty of reading about pros and cons of each approach out there, I will focus on implications for Spring project. Traditional structure of laying down Spring CRUD applications (if your back-end application is not using Spring Data REST) is divided into 3 layers: web/service/persistence. Vast majority of Java/Spring projects I was working on followed this structure. Package by layer most probably originates in previous century, where layered architectures were used as decoupling mechanism. In fact “decoupling” was often the answer when I was challenging package by layer structure. I disagree. To me package by layer is one of the major reasons causing tight coupling. When you are writing signature for class in package by layer structured project, what keyword is the first? I bet it is public. Does public access modifier help decoupling? I guess nobody would answer yes to this question. Why developers are using public access modifier all over the place? It is exactly because the project is structured in by layer fashion. Repository class needs to be public, because it needs to be accessed from service package and service needs to be public because it needs to be accessed from web package. When everything is public, it is very hard to maintain the discipline which doesn’t lead to big ball of mud. When using package by feature, package private UserRepository (it means no access modifier is specified) can’t be used by other service than UserService, because they are in same package. And if we decide that only UserController should use UserService, we just make it package private, because they share same package. In such project structure most of the classes would be package private. Therefore developer should have very good reason to make class public. As bunch of smart people suggest, it might not be good idea to start green field project with micro-services architecture. I agree. So it might be good idea to prepare your monolith for eventual separation into smaller projects if your application hits the growth. Imagine you would need to extract micro-service from your monolith project. Or split whole project into micro-services. I hope everybody understands that no sane micro-services architecture is separated by architectural layers. Separation based on features is used. So which project structure will be easier to separate into micro-services? The one, where any public class can use any other public class from any package (package by layer)? Or one, separated into package private buckets (package by feature)? I believe the answer is obvious. Package by feature is simple but very powerful mechanism for decoupling. So next time some layer obsessed developer will be defending package by layer project structure as decoupling mechanism, please correct her/his misunderstanding. I believe dinosaur-ness is the only reason why package by layer still exists nowadays. Previously I showed how we at Dotsub use Page Object pattern for Selenium testing. 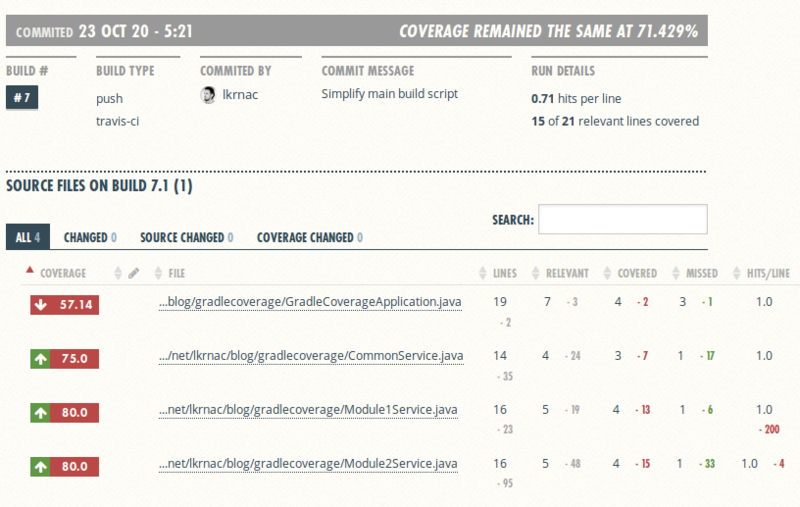 But we use one more abstraction to make end-to-end test more maintainable. We call it Component Object pattern. This blog post will explain it on example. Web development is shifting more and more towards reusable components. Frameworks like React, Polymer, Angular, Ember and others provide various component friendly abstractions to make front-end code-bases more maintainable. So our web applications are now full of “widgets” that have same behavior. We can use component various times on single web page or re-use it on various web pages. Therefore it is logical to create abstraction which covers functionality of single component and reuse it across end-to-end tests. As I mentioned before, we going to call it Component Object pattern. So when we have various same components on single web page, we are going to use various Component Objects of same type per Page Object. From this command, you can find that it is Spring Boot application based on Gradle build system. In Dotsub, we are using Spring Boot + Java on back-end, but in fact there is no back-end mentioned example web application. We don’t need back-end for our demonstration. For UI, we going to use React + Redux combo. I chose famous Dan Abramov’s Todos example to demonstrate Component Object pattern on. But I needed to amend it a little bit to reuse components. Without re-usable components we couldn’t demonstrate Component Object pattern. UI code is hosted in this Github repository, located under folder src/main/ui. I will leave this code for self study because the implementation is not deeply relevant for end-to-end testing code. Important fact for us is that input components / list components for Todo and Grocery lists should have same behavior. Thus they can be covered by reusable Component Objects pattern. Interesting is that they doesn’t necessary need to be implemented as same component in UI code. Note that goal of this blog post isn’t to explain Selenium or its APIs. It is expected for reader to be slightly familiar with them already. Alongside Selenium web driver instance, this component object also accepts CSS selector of component it’s going to control. It has just one method addItem, which enters a text into input field and clicks Add button. It creates new item. Similar to AddItemComponent, ItemsListComponent also takes Selenium web driver instance and CSS selector of belonging component as constructor parameters. It exposes function clickOnItem for which clicks on particular item. Other two non-private methods are used to verify if particular item is shown (verifyItemShown) or hidden (verifyItemNotShown). In constructor it creates component objects with correct CSS selectors. As you can see various instances of same component object type are used to control similar components on the page. Method get opens the page and waits until it’s loaded. 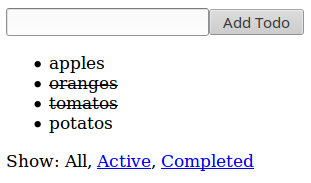 Methods selectAll, selectActive, selectCompleted are used to control filter component on the page. 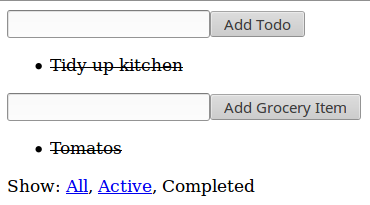 Methods addTodo and addGroceryItem are used to enter new item into particular list. 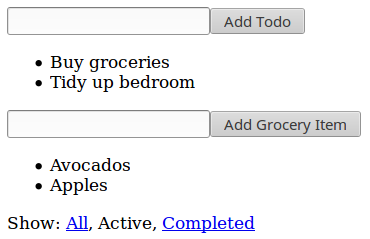 Finally getters getTodoList and getGroceryList are useful to let test class enable control over list components. Exposing component object instances to directly seemed easier than wrapping all their functions in Page Object. We at Dotsub are using videojs as video player for our sites. One of the Video.js main benefits is customizability via its plugin system. Recently we had a need to automatically select certain subtitle track after user started video on Video.js player. This is handy when we know the language user is most probably going to need translation into. So we created simple open-source plugin to save few user clicks needed for selecting default subtitle track. The plugin was named videojs-select-subtitle and is hosted on Github. Assuming you know how to use Video.js plugin for you video player, we jump straight to explaining how to configure this new plugin. Object passed as parameter into selectSubtitle function is option required by plugin to select correct subtitle/caption track. Options object has to have trackLanguage key and value needs to define language attribute of caption/subtitle track to be selected. Of course such track must be available in videojs player, otherwise plugin can’t select it at all. Both key and value of options object are case sensitive. Video.js project was created by Brightcove. Therefore they made it very easy to embed Video.JS plugins into their Video Cloud service. If you are using this service as your online video platform, you can install videojs-subtitle-plugin via their UI. After the user starts video, plugin finds desired caption/subtitle track and show it automatically.